Editor’s note: This post was originally published on October 23, 2008, and substantially revised and republished on August 20, 2012. It’s a delicate nom for a petite mademoiselle, with an eye on the skies. Thanks to Another for suggesting our Name of the Day: Celeste. Celeste is pretty and polite. With her French style, she could easily be little sister to Madeleine or Genevieve. But despite her similarities to some of the most popular picks in recent decades, Celeste is falling out of favor in recent years. Celeste has never cracked the Top 200 in the US, despite the fact that she’s appeared in the Top 1000 every year since 1880. In 2007, she ranked a modest #354. By 2011, she had fallen to #453. She sounds antique, and indeed her story is a long one. Celeste comes from the Latin caelestis, meaning heavenly. 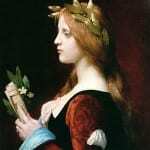 Caelestis may have been used as a personal name, but Celestine was probably the preferred form, worn by five popes between the 400s and 1200s. There’s no Celeste in the historical record before the 1800s, but Celestria was in use in England in the late 1100s and early 1200s. Maria Celeste was the name Galileo’s daughter took when she entered a convent at San Matteo. (She was born Virginia.) Maria needs no explanation, but Celeste was apparently inspired by her father’s passion for astronomy. There’s something tremendously musical about this choice. A celesta looks something like an upright piano, invented in the late nineteenth century and used heavily in the early part of the twentieth century. The opera Aida includes an aria called “Celeste Aida” – heavenly Aida. And there’s an organ stop called the voix celeste – heavenly voice. 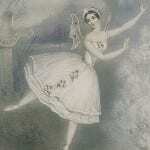 Celeste de Longpré Heckscher was a nineteenth century composer. 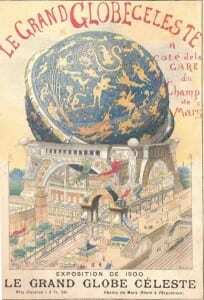 In 1801, French astronomer Jerome Lalande and the staff of the Paris Observatory published Histoire Céleste Française, a major star catalog. Tennessee Celeste Claflin, known to friends as Tennie C. Along with her sister Victoria, she opened the first woman-owned Wall Street brokerage in 1870. In 1872, the mysteriously abandoned ship Mary Celeste was found afloat in the Atlantic Ocean, her crew disappeared without a trace. 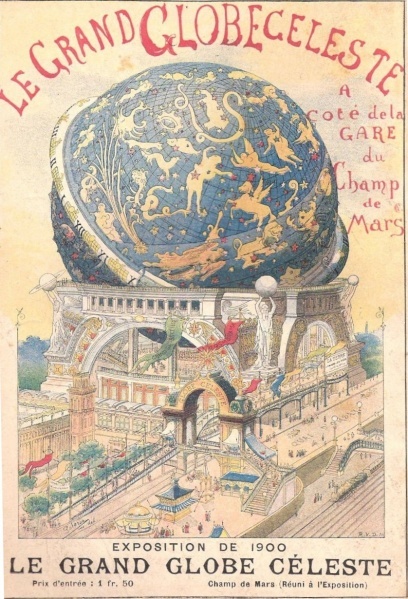 If you visited the 1900 World’s Fair in Paris, you would have seen Le Grand Globe Céleste – a theater showing a movie of the solar system, in the shape of a giant sphere. Add in athletes and some minor television characters, too. In English she’s seh LEST, but in Spanish she’s the three-syllable say LESS tay. Celine and Selena are similar names to consider, along with the more modern choices like Ciel and Skye. Overall, she’s a ladylike appellation, little used and very on trend – and a far more subtle and sophisticated choice than Nevaeh. She’s great in the middle spot, too, an alternative to Marie. 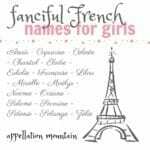 If you’re disappointed that so many French names for girls are on the rise, Celeste is an enduring alternative. I like my name a lot. I like the meaning of it too. It didn’t even occur to me that my name rhymed with molest. I don’t like nick-names to begin with, so that doesn’t phase me. I’m Hispanic so it’s pronounced in Spanish, but they(my family) shorten it to Celes. My middle name, which sounds so much better in Spanish, is Abigail. Celeste Abigail. Celestine in English sounds better than in Spanish to me. I like Ciel, reminds me of Black Butler… But my sister’s name is pretty too. Lidia. 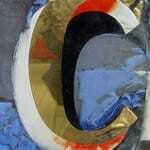 I prefer Celesta, with an A. I just think it sounds and looks better. And Celesta is not a name in Babar the way Celeste is. Celeste is pretty, but I personally prefer Celestia nicknamed Tia. Celeste and Celestine are lovely names. One of Cameron Dokey’s novels has a character named Celestial “Celeste”, which I rather like as well (the character’s full name, Celestial Heavens, is a bit redundant but whatever). I love Celeste! If I didn’t have an aversion to reusing first initials, it would be close to the top of my list for another girl. I went to high school with a Celeste, and I only remember everyone saying how beautiful and unique her name was. I think Celeste is great. I knew it wasn’t overused but I was surprised to read that it is becoming less popular. Love both pronunciations. I think for nicknames you could do Celie or Lessa (reminds me of a character in a book I read, so I like this one) or one poster mentiond CC. Celestine is nice enough, though I don’t like it on a man, but Celestina reminds me of a character from a Spanish novel, not such a nice character, so totally unusable to me. As for Celine, I love this spelled Selene. Selena is also nice, though I prefer that Salena. i love this name, i want it as an option for my daughter (due in February), but the husband isnt liking ANYTHING and its getting very annoying. I was hooked on Maya but now i think its too common. Celeste would be a great alternative. Well, I’m a Celeste, and I love being one because it’s different. I don’t know any other Celestes and I’ve only ever heard of one or two in my life. THe nickname thing was sort of annoying so then to accommodate, when I was about 9 I decided I didn’t want a nickname. My siblings had attempted to give me several nicknames that I HATED. When I started High School, I got various nicknames, including; Cesspit, Cecil, Ces, Cesty, Celesty-my-besty, Celeste-the-best, Celecel (I think you would spell it like that), Cest and Strangely, Celery (although I’m apparently not alone on that one). There are so many, and all of them I hate. Some more than others. Only today I found a what a “Cesspit” is. Ouch. Some reckon its too many syllables, but its only 2! Its also funny watching some people trying to say it, but most people can say it. Also, tonnes of people spell it wrong. And occasionally people realise what things it rhymes with (see Lola’s post) and think they’re very clever and funny. Anywayz, just thought you’d like to hear from a Celeste’s point of view. I’ve never been a fan of Celeste, on sound alone, but Celestine used to be pretty high on my list. Reminds me most of Queen Celeste in the Babar books. I used to love those. I don’t think I’d use it. I do like Selena….. and no relation to Celeste but I like Celia, Cecilia, Cecily. 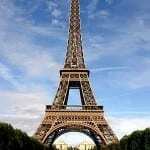 I love Celeste! It’s classy and I like that it isn’t common or over the top. I was considering it, but my dear boyfriend said no since it rhymes with something I’m not even gonna bother saying. He said if I have to use it, then I should use it as a middle name. One of my teachers in 8th grade was named Celeste and I also knew a little girl in Elementary school with that name. I love Celine and Selena too. I like Celine Dion’s music so I get no bad vibes from the name. I also think she’s a brand name in the States: Mama Celeste ring a bell for anyone? Definitely middle material. No one could call Celeste filler material, I think! I quite love Celeste, we knew a Celeste, the little sister to Gabrielle and Sebastien when we lived in France, and Cel was the sweetest little thing! Celine is too Celine Dion for me. […] In 1966, other names with a similar ranking included Sophia, Emma, Clara, Beatrice, Georgia, and Celeste.